This is a first for me: a favorite female character out of a book I did not enjoy. 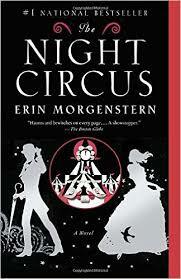 The Night Circus (2011) by Erin Morgenstern, is a fantasy romance. Two magicians pit their students against each other in a game of competing schools of magic. The Circus becomes the arena as the two students–Celia and Marco–struggle to understand the game they’re forced to play and the rules which will determine who wins and survives. But as they compete, the two fall in love and must determine how to stop the game, at all costs. I would rather have skipped The Night Circus to be honest (review to come), but I will at least have Celia Bowen as a bright spot from an otherwise dull reading experience. Celia is an illusionist, with the power to manipulate matter around her. She can change the color of her dress, but also heal her broken bones and stitch up cuts in her skin. 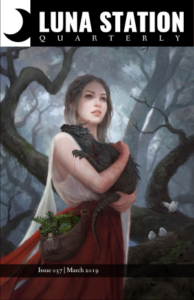 Her father and teacher, Hector Bowen, taught her magic through experience: when she was a child, he would cut her fingers open only for her to pull herself back together as a test of her skill. But even in an abusive, loveless relationship with her father, she pulls through as a character willing to love others. She develops friendships with Isobel (set up as her romantic rival with Marco–but don’t worry, it’s not a love triangle), showing that women can be friends with other women. Her friendship with Herr Theissen, a clock maker, shows that women can be friends with men without the relationship turning romantic or sexual. Finally, she takes on the role of mentor and teacher to young twins who are born into the circus. Celia does not let her past trauma with her father, stop her from reaching out to the next generation of magicians to be the teacher her father was not. Yet, it took me most of the book to appreciate Celia. Partly because I was frustrated with Morgenstern’s continuous use of passive voice to create mystery, but also because we always learn information at the last minute in this novel. Only when I knew that (SPOILER) Celia was controlling the Circus–using her mind to keep every tent and magical feat real and tangible–did I understand her. She’s a character who can’t relax or take a breath because she is the circus. Her control over her mind is immense and it is also her greatest weakness. I’m thrilled to see a female character with such complexities to her strengths and flaws. While I do not recommend The Night Circus, maybe there’s some good Celia Bowen fanfic out there to try. If you know of any good Celia stories, let me know! I’d love to read more about this illusionist.